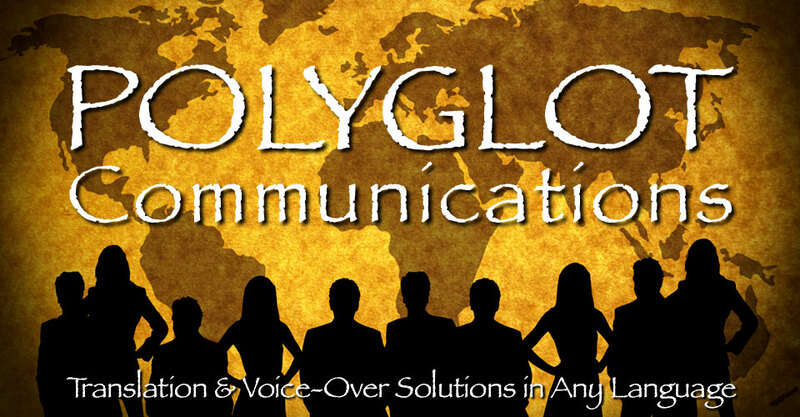 Polyglot Communications, Inc. is a Translation and Localization Company serving the business community with the highest quality standards, from its Corporate Headquarters in Orange County, California since 1984. Exceptional Service We care about our customers, so we ensure their satisfaction. Professionalism We strive for the highest standards, both in the services we offer, and in the way we do business. As active members in the American Translators Association, we are committed to staying current with industry developments. Language Mastery All of our translators are accredited by the American Translators Association or have a degree in translation from an official university in the language combination of the service being offered. All are seasoned in the business jargon of their languages. Reliability We get our assignments finished on time, consistently. Quality To ensure precision, all translations are proofread by a second translator; technical projects receive additional care and attention. Accessibility We are available when our customers need us. Experience We know how to select the best translator or interpreter for the project and we are constantly reviewing and updating our database of language professionals. Trustworthiness We've been granted security clearances from defense contractors for sensitive projects and we faithfully hold up our end of all confidentiality and non-disclosure agreements. Located in Orange County, California Polyglot Communications, formerly know as The Language Connection, provides translation and localization services locally for Orange County, Aliso Viejo, Anaheim, Balboa, Brea, Buena Park, Cerritos, Corona Del Mar, Costa Mesa, Coto de Caza, Cypress, Dana Point, El Toro, Foothill, Fountain Valley, Fullerton, Garden Grove, Huntington Beach, Irvine, La Habra, La Palma, Laguna Beach, Laguna Hills, Laguna Niguel, Laguna Woods, Lake Forest, Los Alamitos, Midway City, Mission Viejo, Newport Beach, Orange, Placentia, Rancho Santa Margarita, San Clemente, San Juan Capistrano, Santa Ana, Stanton, Tustin, Trabuco Canyon, Villa Park, Westminster, Yorba Linda and South Coast Metro.